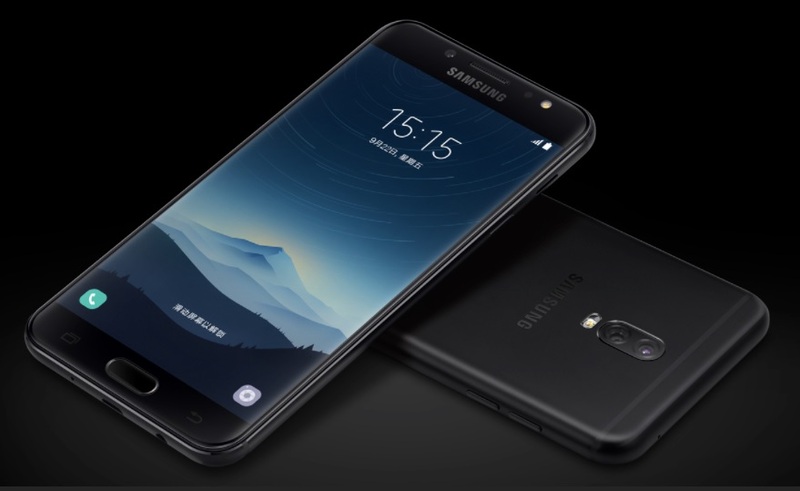 Samsung has launched the Galaxy C8 in China with Dual Rear Camera Setup, its third smartphone featuring a dual rear camera setup in China. After the Galaxy Note 8 and the Galaxy J7+ which was launched in Thailand last week, the Galaxy C8 will be the third smartphone from Samsung to sport dual rear camera setup. Not only Samsung but many other smartphone manufacturers have already launched their smartphones with Dual cameras setups such as Huawei P9, Apple iPhone 7, Motorola G5S Plus, Lenovo K8 Plus and Apple’s upcoming iPhone 8 will also feature dual rear camera setup. The Samsung Galaxy C8 comes with dual-SIM card support. The Galaxy C8 runs TouchWiz UI based on Android 7.0 Nougat out of the box along with support for the company’s Bixby virtual assistant and secure folders feature. It is powered by an unspecified octa-core processor (with 4 cores clocked at 1.69GHz and the other 4 clocked at 2.39GHz). Galaxy C8 sports a 5.5-inch full-HD (1080×1920 pixels) Super AMOLED display. As we mentioned earlier, the Galaxy C8 will sport dual rear camera setup with a primary 13-megapixel sensor with an f/1.7 aperture and a secondary 5-megapixel sensor with an f/1.9 aperture. At the front, the handset sports a 16-megapixel front sensor as well with an f/1.9 aperture to take selfies. The Galaxy C8 houses a 3000mAh battery and comes with a fingerprint scanner embedded in the Home button at front of the smartphone. The connectivity options offered by the smartphone include 4G connectivity, Bluetooth 4.2, Wi-Fi 802.11 b/g/n, 3.5mm headphone jack, and micro-USB port. The Galaxy C8 is being offered by the company in Black, Gold, and Pink colours. There are no details on its pricing and availability but you could expect it to be priced higher than the Galaxy J7+.